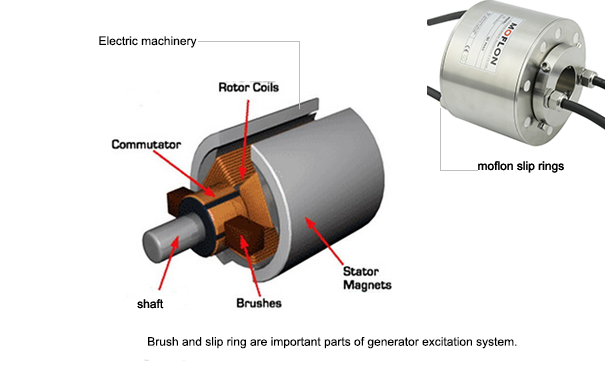 What is the Role of the Slip Rings and Brushes in the Electrical Gadgets? Every electrical gadget uses an electromechanical device called 'slip rings'. This device consists of solid or liquid metal brushes. Both have a role in the functioning of the machines and equipment. Before going through the activity of the slip rings and brushes we must know what are the two things. The slip ring is an electric-mechanical device which assists in transmitting the electrical power and signal from the stationary structure to the rotating body. It also helps to remove the dangling wires from the rotary joints and simplify the operation of the mechanical systems. Metal brushes are attached to the slip rings which helps in conducting current between the stationary wires and the rotating shaft. Mostly carbon or graphite brushes used but the copper is used for better current conduction. With the advent of the time these days, for some appliances, the liquid mercury metal is also applied. To smoothen the working performance in certain electric machines and generators, the metal wires of the rotor is connected properly to accomplish the electrical circuit. The electrical rotary joints and the brushes must have the capability to conduct high resistance of voltage. It will help to communicate electrical power and data signal inside the electrical machines. Now the question is what is actually the function of slip ring in the electrical gadgets? The slip ring or the swivel is installed in the central area of a rotating device. This electrical machine consists of a stationary and rotary structures. The slip rings consist of elastic material or brush, conductive ring, small steel bearings and resin bonding material. This material is sometimes referred as conductive slip rings, rotating joints, adapters, current collectors and return rings. The slip ring connectors transfer the current and signal from the stator part to the rotor body. It moves on continuously in 360-degrees, until it completes the electrical transformation. The rotary pole connects to the rotating structure and the immovable body connects to the stationary body. After the connection the data signal or the image is transmitted from one end to another end. 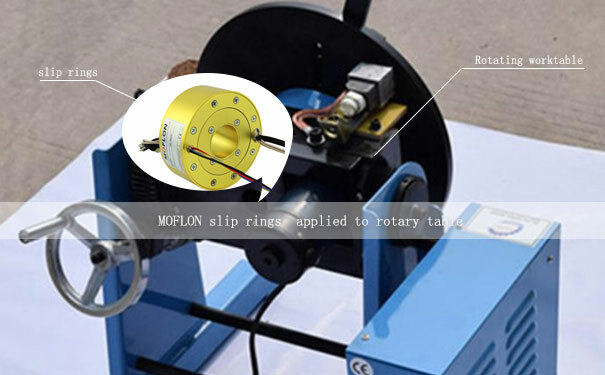 The slip ring has another part, the wound rotor or the simply the rotor. The slip ring rotor is made of steel laminations and it has either 2-single phase winding slots or 3-single phase winding slots. The three-layered windings are separately laid in 120-degrees. The windings have two endings-- the inside of the slip ring holds one end and the other end is placed on the rotary part. The brushes of the slip rings help to connect both ends of the windings and connects with the three insulated slip rings. When an electrical machine is operated, the brushes start to lift up automatically. After this, the electrical current and signal transfer directly from the stator to the rotor parts. The rotor slip rings can conduct high resistance of current if an external resistance is attached.